My Passion for Christy Moore explained. 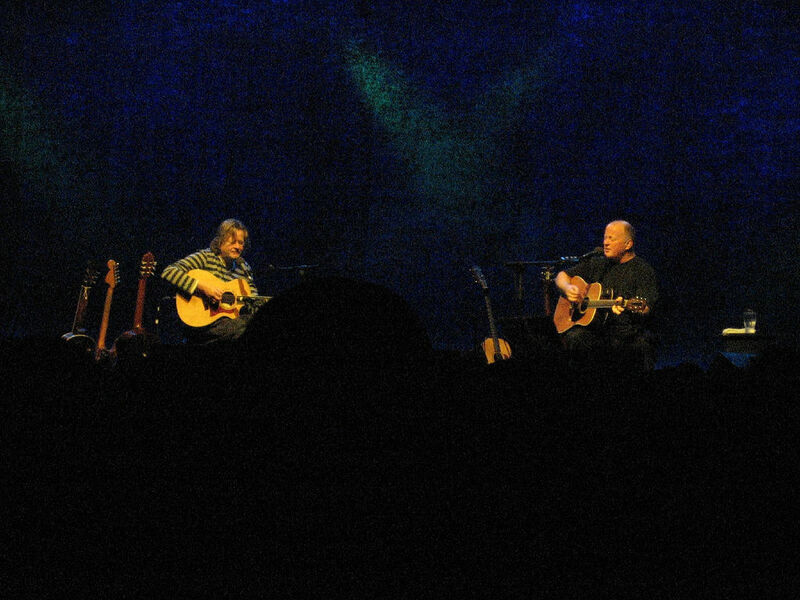 Christy Moore and Declan Sinnot in Vicar Street in 2007 - This image was originally posted to Flickr by cybernoelie at https://www.flickr.com/photos/78547471@N00/361500601. It was reviewed on 16 May 2007 by FlickreviewR and was confirmed to be licensed under the terms of the cc-by-2.0. Oh, I'm missing you, under Picadilly's Neon. It was back in 1993 when I met an Irish girl in the saxon town of Mittweida, where I went to Uni. She was one of the first exchange students that came to Mittweida at the time in order to spend a few semesters on a german Uni. Her name was Frances. She came with another irish girl from Sligo Regional Technical College. I remember, when we met the 1st time, it was in a band room and I didn't actually quite take notice of her, because a) I was in a relationship at the time and b) the other Irish Girl, who was with her looked initially more attractive than her. However, that 1st encounter should change my life in many aspects. My life started basically. That year one of the student bands at this Uni was a bit in shambles because their lead guitarist was leaving the place and they had no one really replacing him. So they found this other exchange student named Gary from Birmingham/England, who was a pretty good guitarist and a damn good trumpet player too. The band made a few gigs at the local student club and the conventional band setup together with the trumpet was just very impressive. However, Gary had to leave too after he finished his exchange year and there was again a gap for the guitarist. At the time I was just starting to learn how to play the guitar and Gary actually helped it along quite a bit. Despite my early beginner status, he proposed me to fill in for him in the band. At the beginning, I really was afraid of not being able to match the expectations and almost declined. Today, I am glad that I didn't decline, because otherwise I would certainly have missed the greatest year of my life. Frances was together with a guy named Michael at the time. He was the keyboarder of the band. He probably was the reason why Frances was there at the first place. However, it appeared that Frances somehow got a crush on me, but I didn't notice at all at the beginning. Things took shape slowly and we somehow got closer and felt that we wanted to spend the time together. I really fell madly in love with this girl. This love made me leave my girlfriend, who didn't take it easy and it also put us in an akward situation in the band, because she left Michael for me. I don't quite know how we dealt with the situation, I only know that I was not actively trying to avoid Michael, and tried to let him know that I meant no harm, but kind of without words. Retrospectively, I have to say that today, I admire how Michael dealt with this situation, because Frances leaving him was not easy for him. He would never complain to me or blame me, but still he was kind of fighting for her, until she made it explicitly clear, where she wanted to be. But Michael's friends would complain to me and tell me that it is not alright to just take his girlfriend. I didn't know what else to answer at the time other than that it just happened and that I am sorry. It took quite a while before things settled, but there was always this subtle, unresolved tension, which kept residing in me for the rest of the time, which we played together in the band. Frances and I had a good time this year. We would spend as much time together as we could, but kind of without limiting each other. That was something new to me and I had to get used to handling that and sometimes I was in a state between being heart-broken and in heaven, when she was spending too much time with some other dude, or when she jumped into my arms after we hadn't seen eachother over the weekend. Looking back I can only say that this was the year, where I felt alive the most. I started to spend the weekends in the student dorm not going home in order to be together with her. On an old CD-Player, we would listen to music that we liked at the time. It was the time, when Clapton came out with his first MTV-Unplugged Session, which was one of the best. I bought the Guitar-Tab-Book of this Unplugged session and started to learn these Clapton Songs on guitar. Most of my time I spent doing this and it was great. Niamh, the other irish girl was becoming the lead singer of the band and she made some proposals for playing some Irish Songs from Thin Lizzy, the Franks & the Walters, the Saw Doctors or Gary Moore and some of them we played. But in the quiet and calm moments in our room at the dormitory Frances often would put a CD into the player, that was completely different from the other usual music. 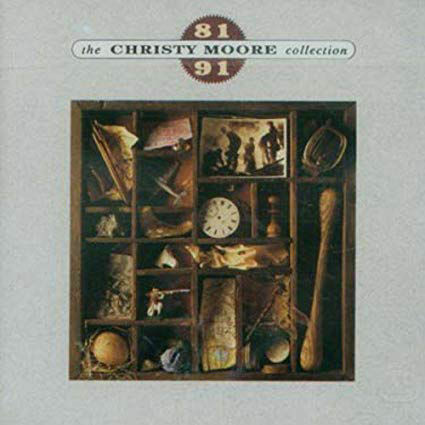 When she first introduced me to the Christy Moore Collection from 1981 to 1991, I initially thought, what kind of crap that is, but without telling Frances of course. So I was kind of forced to listen to it alongside her. At the time, I did not speak or understand English so well, because I just started to learn it at the University with a lot of help from Frances of course. Christy Moore's music on this album covers a pretty wide range of emotions from very funny down to very melancholic. As I understood only about 25% of the text and phrases at the time, Frances was explaining the content of the songs and all the punch lines of Christy's very irish (of course) humor to me, which I would have never figured put by myself at the time. Slowly, this music started making sense to me and was some kind of a deep reflection of an Irish Soul, of which Frances was quite proud. I was most impressed by this deep passion for her own culture and the more I understood the songs, the more I could relate to that. This made me love her even more. Oh man, I was kind of in an irish heaven at that time. So many beautiful, but also some painful memories. As things go in this world, the best times come to an end some day and we both knew, that by the end of her exchange year, we would have to go our own ways. Frances left Mittweida by 1993 or 94, I think it was. The happiest time of my life was just coming to an end and it was still burning after for a few months, before I realized what was happening. After that I was left completely heartbroken and the most difficult time of my life was about to start. One might say that I kind of deserved it, easy come, easy go, right? But it was a bit different. We attempted to keep the relationship going, but we soon realized that this special time we had could not be brought back and that the circumstances in which we spent the time together in Mittweida made us different people than we usually were in our normal lifes. After a year or so we lost contact, as I went to Great Britain and the US after that and she would finish her studies in Sligo and move to Berlin later on. I was not able to look at other women as I was looking at Frances for at least another 6 years after that and it branded me toward a not overly, but silent and yet healthy melancholy, which I still maintain in the music I preferably make to this day. In the difficult years, Christy Moore's music would never leave me as it would always remind me of that wonderful time I was allowed to spend with this girl. Christy released a number of albums after making different music and songs, but always keeping that very unique style and the wide range of expressed feelings between joy, fun, irony and melancholy on his albums. The arrangement of most of his songs rarely exceed 4-chord progressions, but still cover these wide range of emotions. Soon after Frances left, I started to teach myself to play Christy Moore songs, whenever I wanted to remind myself of that time. Even today, I still play them with joy because of this time. I put a collection of me playing my favorite Christy-songs into a soundcloud playlist. Christy Moore was playing a few gigs in Germany in all those years and my today's wife gave me 2 concert tickets for a Christy Moore Concert at the Opera in Frankfurt/Main around 2007. We enjoyed the concert and when I looked around in the crowd, I thought I saw Frances sitting a few rows behind us next to her boyfriend or husband, I don't know. I did not dare to verify, if it was really her as I did not know what it would have meant for her or for me and hence kept it to myself. Today, I sometimes wonder what has come of her and how she does. Sometimes, I catch myself trying to google her name, but she is not so much visible in the internet. Perhaps, that's good this way.